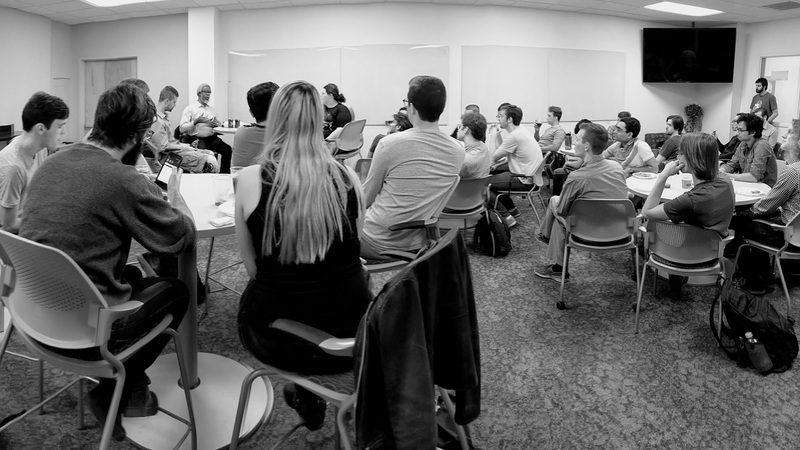 GAP hosted Jim Gates, a renowned superstring theoretical physicist, for lunch with the students of the school of physics to talk about his life, where he started, and how he ended up where he is now. 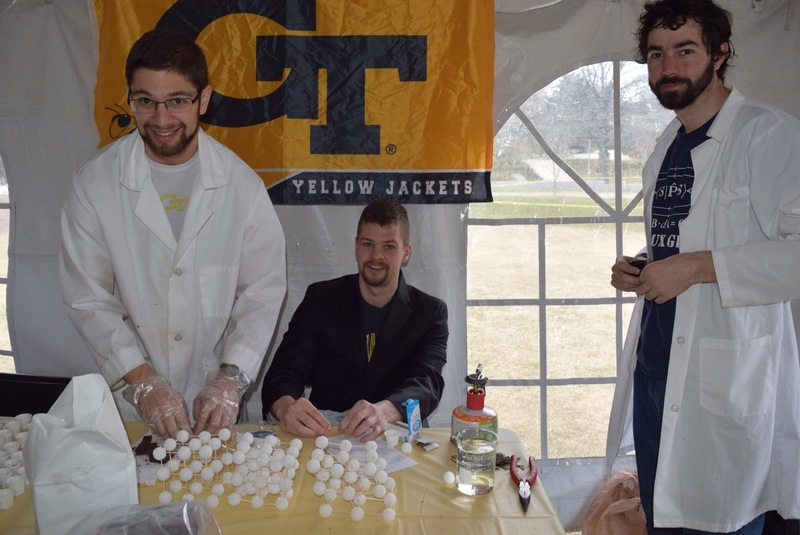 He offered great advice for the graduate and undergraduate students and provided valuable insight for students to think about as they go through their physics careers. We are very thankful that he was able to take time out of his day to eat pizza and chat with the students involved. 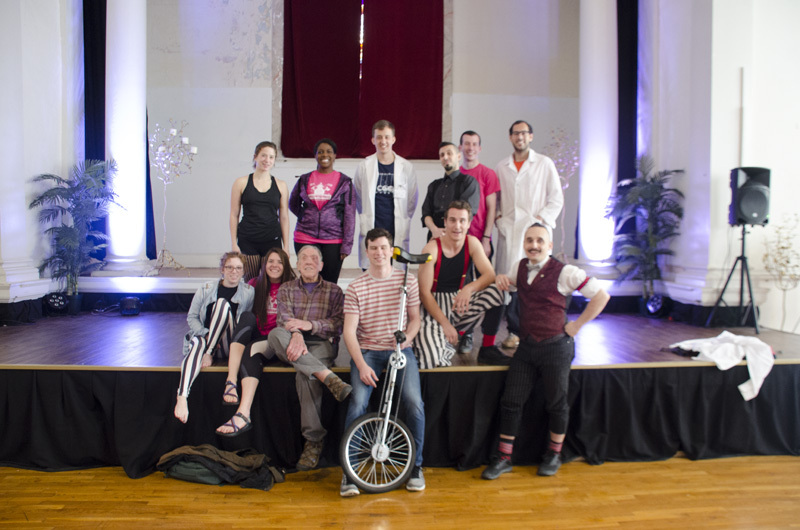 Who knew the circus is full of physics? 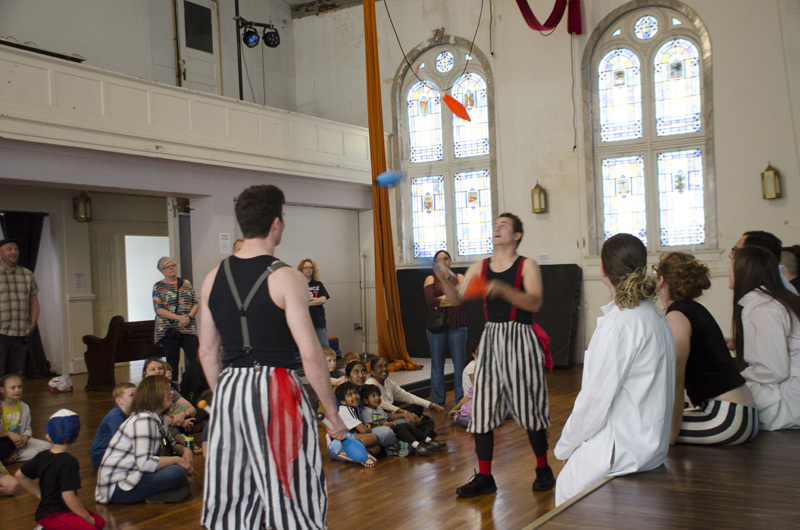 GAP went to the circus recently during the Atlanta Science Festival Science of the Circus event to talk to kids about the physics behind aerial acrobatics, whips, contortion and balancing. Topics included center of mass, moment of inertia, angular momentum, sound waves, energy transfer, and elasticity. 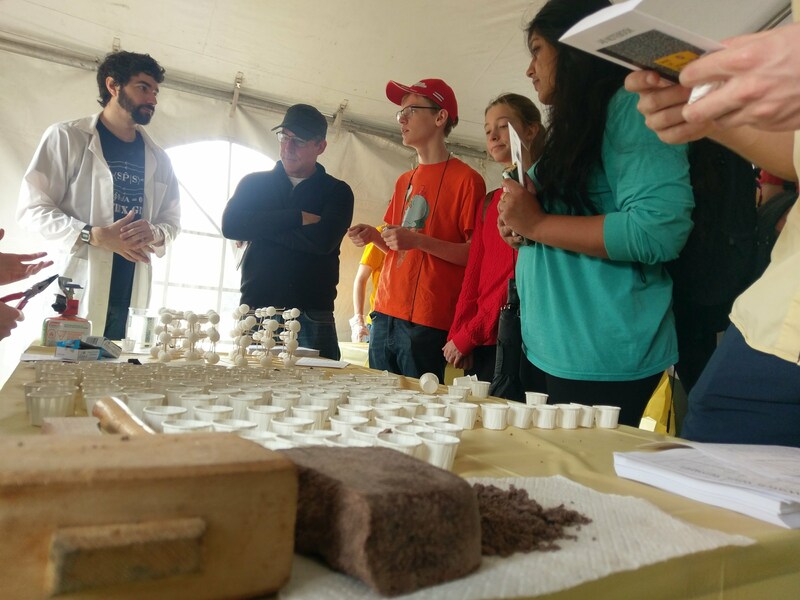 GAP participated at the Atlanta Science Festival Taste of Science event, where we talked with people of all ages about the crystalline properties of chocolate and how chocolatiers achieve the perfect crystal structure. To make the right crystal structure, chocolate goes through a tempering process, where it is heated and cooled to just the right temperatures and at just the right rates to eliminate and preserve the desired crystals in the cocoa butter. We had samples of untempered, mistempered, and tempered chocolate for people to taste and determine the different macroscopic properties of chocolate. The chocolate was donated by Xocolatl Small Batch Chocolate.